Greetings to our Matomo community! And happy new year! We wanted to thank all of you for your participation in helping us create Matomo (Piwik) 2.0 and for your continued support of the project! 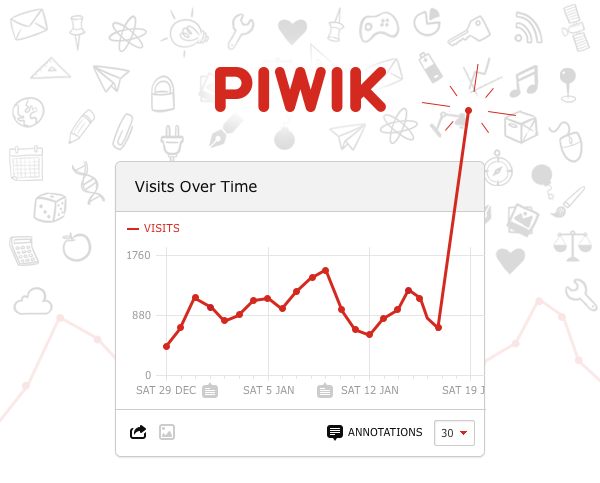 It was a big year for Matomo, and it is thanks to our passionate community members that we were able to achieve what we did in 2013, which included a complete redesign of the Piwik.org web page, a rebrand of the mobile app and the creation of the Matomo Marketplace for Plugins and Themes. With your help and also thanks to our supporters, the project is able to keep improving and expanding, so we can make it the best open source web analytics platform. We can proudly say that Matomo (Piwik) has been dowloaded more than 1,500,000 times up till now. It’s all thanks to you and your contributions to Matomo. Wishing you all a safe and happy new year and a wonderful 2014 – we think it’s going to be a great one!